Numbers do not tell you much without insight and interpretation. 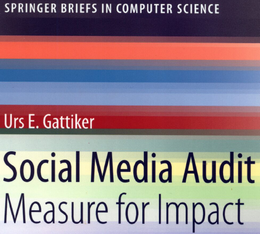 Worse, sometimes the many agencies, measurement experts and social networks all provide conflicting numbers. 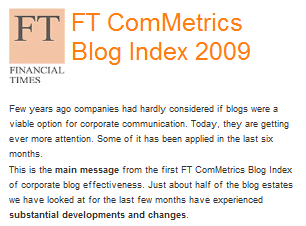 The key is to look at changes to trends over the longer term, not numbers from a specific time period. Several ranking mechanisms are used to arrive at the ComMetrics footprint, such as the Google PageRank, Technorati Ranking, Technorati Authority, Yahoo! InLinks – Backlinks and Google Blog Search. Get the inside scoop about how to interpret these trends by visiting Google PageRank, Technorati Ranking, Technorati Authority, Yahoo! 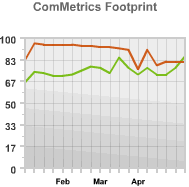 InLinks, Google Blog Search, and the ComMetrics Footprint. In these pages we explain what the trends mean for you.